If you are on the quest to find out more about your family's history there are a number of online options that you have nowadays for digging into your genealogy. Certainly far more than when I started this fascinating hobby or "detective hunt" as I often refer to it more years ago than I care to remember! You can use free genealogy search sites to help you source lot of information. You can find paid sites that offer certifications, records and much more, however, when you are searching for so many people in your family history, this can become very expensive. Fortunately there are so many free sites that contain much the same information, and sometimes even more, so this is where you should begin your search. 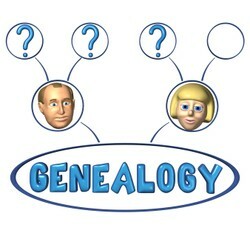 Firstly we are going to take a look at the benefits of using the Free Genealogy Sites. Tthen we will take a look at some of the most popular sites which are really helpful. What Can Free Genealogy Search Sites Offer? What Benefits Do The Free Genealogy Research Sites Offer? Let's firstly take a look at what the Free Genealogy Sites can offer. There are a large variety of free sites that offer a plethora of information and that will give you access to various features. There are websites that will give you access to birth and death records, marriage certificates, and some that will go back even further, listing census information, ships logs, newspaper articles, and lots of other information. Additionally there are free genealogy search sites from all over the world that you can use. You will find sites dedicated to the UK and Ireland, Scotland, the United States, Canada, Australia, Europe, and Africa. Using the free genealogy search sites you can search under numerous categories for the information that you require. So, instead of using a very general website, there are free sites that are far more specific. For instance, you can find sites that access Jewish families and communities. There are sites that are dedicated to the 1820 census, sites that are focused specifically on the very first immigration point in the United States, and sites that contain parish records from specific churches. This makes it much easier to find specific ancestors if you already know something about them. Some of the best free sites are those that contain information that has been collected by volunteers for specific organizations such as museums, historic societies, cultural societies, and libraries. Tracing your family heritage can be a long, arduous process, and is fairly challenging, which is why it is vital to have such a large number of resources. Thanks to many of these organizations, your job will be much easier and you will be able to go back much further into your family's history than ever before. There are many free genealogy sites that offer much more than just the databases of records and documents. Some also offer programs that allow you to build your family tree from scratch and store all the data that you have collected. These family tree sites allow you to enter your data and it will generate a digital family tree with all the branches so that you can view the information as a complete picture. Aside from saving you money, the free sites, also give you the opportunity to save time, as you will no longer need to go to your local libraries, search through historical books and documents at your local Archives office and spend time driving around. You can sit in front of your computer and find all the information you need from all over the world. If you have ancestors from another country, which is very likely, you will find it almost impossible to travel overseas to go and search for the certificates and information in person. This is where most people get stuck during their genealogy search and give up. Nowadays, with free sites from anywhere in the world, you no longer need to stop. In fact, you can go as far back as the medieval times in most cases, as there are free websites that will even list medieval tax records, and parish records. There are many other benefits to using the free genealogy search sites, that you will discover as you use them, and as you find plenty of information about your family. Isn't it good to know that you can complete your family tree without spending any money? Here are our five favorite Free Genealogy sites that you might want to explore. If you do not wish to go down the road of using free trials, then one website that is an absolute must is familysearch.org. This website has been created and maintained for a number of years by the Mormon church and it has a number of records for various countries including birth, marriage, and death records as well as links to the parents of a person, brothers and sisters that they have had, and any children. Rootsweb is one of the biggest free resources on the internet for when it comes to doing some research on your family tree as this forms part of the World Connect project that has been worked on by countless numbers of people for a number of years. The idea behind this project is to offer people the chance to upload details about their own family tree that can then be searched by others and quite simply it is amazing the snippets of information, or missing links, that you will be able to uncover from this website. The International Genealogical Index, or IGI for short, is a fantastic database that holds a number of important records such as births, marriages and deaths for a number of countries including the UK and North America. If you know, or at least suspect, that one of your ancestors fought in either World War 1 or 2, then it makes sense to try to find out more about their military record for your family tree. This is possible thanks to a number of websites, but one of the best is based in the United Kingdom as you can search the Debt of Honour Rgister as this lists over 1.7 million service people that fought and died for the Commonwealth, including its former colonies, in both world wars and it is also free to use. If you are looking to search for Canadian records, then you should be looking at the Canadian Archives Search although this only covers WW1. Should You Try The Ancestry Free Trial? If you have ever wondered about how to do free family history search online, then there are several key points to consider. Studying your family history is certainly something that has become more popular in recent years due to websites such as Ancestry, but the problem with their site is of course that it will cost you money to use it. This single fact is often enough to put people off even getting started with their family tree. But one method that you can use to your advantage is to look at using the free trials that are available at sites such as Ancestry, to get you started. You do need remember that you need to cancel them before your trial period is up or you will be charged. The trial period that tends to be on offer gives you full access to their website for 14 days and the best part about this is that you can search through census records, military records, read their forum, contact members, and find family trees that have already been started by other people that link in with your own family. Free trials are an ideal way to get some quick information about your family history without costing you any money as the information that is available on these subscription websites is amazing. At some stage in our lives many of us feel the need to "find my Family History" to help us understand our place in the world. If you are new to genealogy then let's get started! Are you looking to start your family tree research but as a beginner you are not sure what to do? This straightforward guide will get you started and make things easier for you. 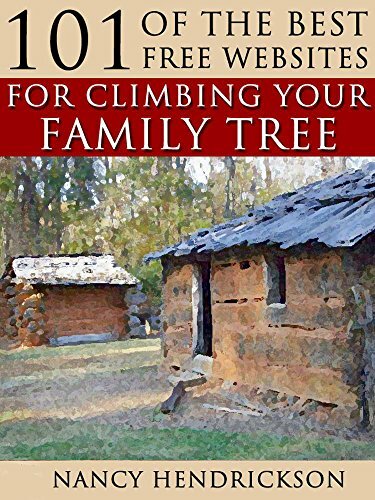 Deciding between free printable family tree charts and those that come as part of a genealogy software program can be a challenge. Let's help you make the right decision for you. Do You Use Free Genealogy Sites? familysearch is an excellent site but I haven't heard of internment.net. That looks useful TY for posting. Legacy has the best tree software there is. I bought the Deluxe version this year and I just LOVE it. I've been researching my ancestors for about 6 months now, and already use FamilySearch.org and Wikitree. I plan to check out the resources you've mentioned to see if I can find even more info. Thanks for the recommendations! @EliasZanetti thank you that's very kind and I hope you do gibe it a try and have great success! Wonderful resources, pkmcr! This is an excellent list and review of free genealogy sites. Haven't been seriously involved with that issue so far but I guess i'll give it a try now. Thank you for the free sites. I have used Ancestry on and off for several years. I plan to transfer everything to a free site.